Twi-hards, get ready, because the entire Twilight saga is coming to Netflix in October. What better way is there to get in the Halloween spirit than with some vampires, werewolves, and a good old fashioned love story? Well, at least two out of the three are season-appropriate. Twilight is a guilty pleasure for many people, who probably openly loved the series when it first came out but have since become embarrassed to admit that the love triangle between Edward, Jacob and Bella is as thrilling now as it always has been. But soon you’ll be able to curl up and enjoy the entire Twilight saga as the cold October evenings draw in, with nobody to judge you apart from the Netflix screen that asks ‘are you still watching?’ after a lengthy binge. 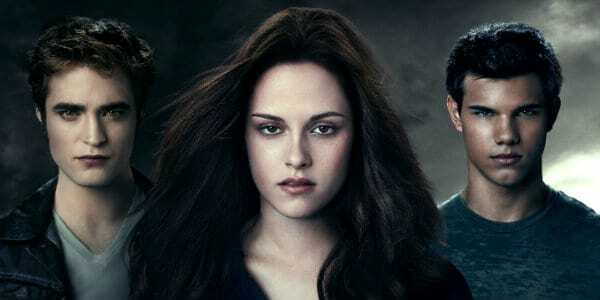 Twilight, New Moon, Eclipse, and Breaking Dawn Parts 1 & 2 will be arriving to the streaming service on October 9, meaning you could watch one vampire-filled movie a week before reaching its dramatic conclusion on Halloween. Or, alternatively, you could power through all the movies in one weekend, indulging in Taylor Lautner’s shirtlessness and the struggles of Bella as she tries to make her human life fit with that of a sparkling vampire. Many Twilight fans have been hoping for the development to occur for some time, with some being frustrated at the fact that the five movies weren’t on Netflix already. I think they’ll all be very glad to learn that their wishes have come true! After Netflix announced the exciting news, many true fans took to social media to share their excitement. While the Twilight movies coming to Netflix will be enough to satisfy some fans, others want to get as much Robert Pattinson as possible and have requested that the streaming service also add the Harry Potter movies to their selection. Cedric Diggory can live forever if we get him on Netflix. Whether you’re in it for the love story, the shirtless males, or the supernatural element, I think everyone secretly likes Twilight just a little bit, even if you don’t want to admit it to anyone but your Netflix account. Let’s not forget the important debate that goes hand in hand with the Twilight saga; are you team Edward or team Jacob?